The webinars hosted by Francorp - A consulting and advisory arm of Franchise India, are an amalgamation of thoughts, experiences, ideas and real time case studies/fast facts in context to the Franchising industry. These knowledge sessions provide direct access to relevant and vital information that helps a business stakeholder in absorbing a deeper understanding about the subject matter from the expert themselves. The hosts of these webinars are subject matter experts in all domains of Franchise consulting and advisory. Some of the best thought leaders will showcase their best practices, hacks, tricks of the trade and provide real time guidance to all attendees. Francorp being the consulting arm of Franchise India, heavily vests its time and resources in providing best possible solutions to businesses in order to expand their horizons and grow with immense potential. It’s a platform wherein small, medium and large enterprises all benefit from the consulting services that cover five most important domains of running a business including: Strategy, Legal, Operations, Sales & Marketing and Training. This webinar will help Franchise managers understand the key attributes that help sustain franchise management. It will help in learning the know-hows of Franchising industry and the key ingredients it takes to run a strong franchising portfolio. Branch and store owners/managers, Franchise operators, operations managers, logistics managers from industries including F&B, Healthcare, Retail, Education, SMEs etc. Prior industry knowledge on subject matter will be beneficial, although not necessary. Gaurav Marya is regarded as India's foremost Business specialist and has consulted over 2000 Large and Small corporations in India and international markets in making informed decisions about their business growth. 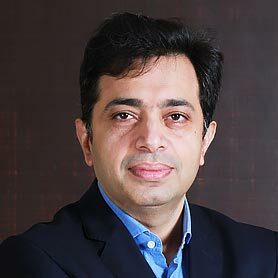 He has consulted leading corporates like Reliance, Essar Group, Videocon, Landmark Group, Tata Steel, Unilever India, Levis, 3M, HP, ITC, TVS and Mahindra Retail where he works with CEOs and Senior Leadership teams to align and chart out growth blueprints. He has also consulted many local and regional businesses all over India, which are today India’s retail and consumer brands . He has been dubbed as the “Father of Indian franchising” and he truly does justice to his title.